Chinatown is more than just a section of town. It is a destination, a place of culture and cuisine; a home. There are people that seek them out before they even check into their hotel. With the world getting smaller and smaller every day, the Chinatowns are getting bigger and bigger. If you are going to talk about Chinatowns, you have to start with the oldest in the country, if not also the best. The truth is there are actually four Chinatowns in San Fran, but the original is the one centered on Grant Avenue and Stockton Street. Established in 1848, it draws more tourists every year than the Golden Gate Bridge. Make sure you check out The Bank of Canton which used to be the old Chinese Telephone Exchange. When the technology changed, the bank bought the building and fully restored it in 1960. It is amazing and right out of the movies. Get yourself some Dim Sum at Dol Ho, a great locals joint where some of the patrons are as old as the tradition in the food. Go to the Golden Gate Bakery for their famous egg tarts. Be careful and check here before you go; their hours are as flakey as their tart crusts. 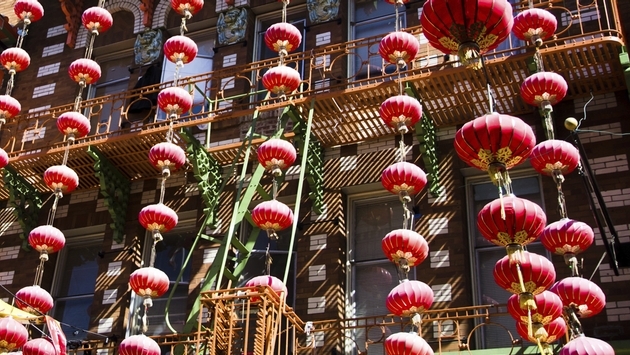 Chinatown in Manhattan boasts the largest number of Chinese people in the Western Hemisphere. Bordering Little Italy, Tribeca, Civic center and the lower east side, there are approximately 100,000 Chinese residing there. Unlike San Francisco, you won’t find a lot of buildings of Asian design, but you will see signage. Mott St., Canal St., and Grand St. are some of the best to start your stroll. You can eat about anywhere and it isn’t just authentic, it is homemade and fantastic. Try the Peeking Duck House for a true experience. The waiter will bring the duck to the table, parade it around and carve it right in front of you. If you are looking for a hand-pulled noodle house, no one is more authentic than Sheng Wang. The best part of this place is that you can’t even get a soup for more than $6. You may have a hard time communicating as the English is sparse, but the flavor is not. After spending three years in Vegas, I can say that the best part of town to visit is not the strip, and it’s not downtown. It’s Chinatown. Running right along Spring Mountain Road, you can’t help but feel like you are miles away from the strip even though you are less than a half mile. Chinatown in Las Vegas is one of the newest, with the first plaza being built in 1995 and the area being officially declared Chinatown in 1999. And it is much more than just Chinese with there being representation across the whole Pan-Asian experience. Korean BBQ, Sushi, Pho and 24 hour Dim Sum make this the China-city that never sleeps. Harbor Place Seafood Palace offers up Dim Sum until 3 p.m. and then you can order it from the menu until 5 a.m. That is sounding pretty good when you are down $300 at 3 a.m. Personally, I wouldn’t miss the Sura Korean BBQ, where do-it-yourself happiness gets cooking right at your table. Awesome sauce. Oh, and if you are mobile in Vegas, look for the Wa Da Pho food truck to get your Pho fix. Tell them I sent you. Check out their first Fridays, a festival packed with a little of everything the area has to offer. Check out Maunakea Marketplace for great shopping and authentic food. If you are timesharing it and planning on cooking, this is the place to buy your wares. If you are looking for Dim sum, Cantonese, and seafood (like who isn’t?) head over to Legend Seafood Restaurant for a decent meal at a decent price. So no matter what your plans are for Christmas dinner, make sure you take your six demon bag and seek out the nearest Chinatown on your next vacation. You won’t find big trouble, just big culture.